Whatever happened, you could feel it at first in the popular culture - at the movies specifically. Between the turning of the 90s and the dawn of the 00s, a pair of blockbuster film projects had gone into production that sounded, in the details, like the sort of thing movie geeks would fantasize about but never expect to see: Sony Pictures put several hundred-million dollars in front of Sam Raimi - a nerd culture icon best known for cult horror movies and TV shows about Amazonian warrior princesses - to make what was looking like a source-respectful Spider-Man movie. Elsewhere, Peter Jackson - another demigod of movie geekdom beloved for comedic splatterfests - had set about the seemingly impossible task of filming the entire Lord of The Rings trilogy - one of the foundational texts of Nerdity. Both films, as you know well now, were enormously successful. Raimi's endeavor brought to full bloom a Hollywood fixation on superheroes that had first sprouted with the box office (and critical) success of Bryan Singer's X-Men adaptation. Jackson's LOTR exceeded all expectations for three years in a row - running rampant all over the box office, Hobbitizing the popular culture, leading (along with the more-expected success of the Harry Potter films) an explosion in the fantasy genre and ultimately dominating the 2003 Academy Awards, a feat not even Star Wars had ever accomplished. Elsewhere, the (at the time) lengthy-looking success of an out-there actioner called The Matrix had finally kicked the door all the way down for the Eastern-spawned/nerd-beloved genres of martial arts and anime. And so began a love-affair with Hollywood... one that ended up lasting much longer than it took The Matrix franchise to ultimately flame out. Television, too, made a shift - albeit a subtle one. The sitcom - half-hour comedies staging premise-related jokes in a largely static setting - fell out of favor after decades as king. Its (eventual) usurper? Fare like 24, Lost and The Sopranos grounded in that most-geeky of viewing-requirements: continuity. Once upon a time, cop shows were mainly about first-amendment-ignoring hardasses doing their thing. Not after CSI and NCIS, where the heroes were minutia-fixated lab techs - backed up by sunglasses and The Who, yes, but still. And then there were videogames. For better or for worse, the outside influence of tech giants Sony and Microsoft - along with the rise of decidedly de-geeked mega-franchises like Madden and Tony Hawk - certainly reshaped the hobby's profile, but it was nothing compared to the earth-shattering impact of the Wii, which realized the subculture's impossible dream of the game console as a mandatory element of any well-stocked family room. At this point, I'm looking around at a culture so thoroughly "geeked" that I'm actually given to ask myself if this Decade of The Nerd is - irony of ironies - the end of The Nerd. Or, at least, the end of The Nerd as a subculture unto itself. Think about it: Picture all the pop-cultural hallmarks of Nerd Culture, and then consider their place in the main culture now. Once upon a time, "Only nerds used computers for fun." Now, practically every home has at least one computer. Everyone is online, and mundane devices like Walkmen or road maps have been supplanted by computers of a sort. Something like 90% of the developed world is carrying a small hard-drive with them at any given moment. "Nerds love comic books." Been to a movie theater lately? Where moviemakers once needed big-name stars to get a superhero movie made, big-name actors now fight tooth-and-nail for the honor of donning this or that cape and cowl. Batman and Spider-Man turned indie mainstays like Tobey Maguire and Christian Bale into movie stars. 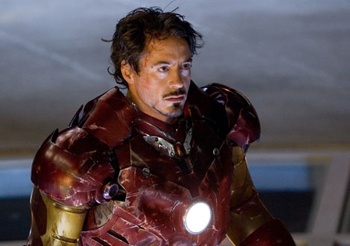 Iron Man completed Robert Downey Jr.'s emergence from the wilderness. "Nerds do videogames." Yeah, they do. So does my grandma. And my parents. Rest homes stage Wii tournaments. What's left of The Beatles were at E3. "Nerds are obsessed with sci-fi." The biggest motion picture in the world right now is about mecha-pilots fighting blue cat-aliens. This is the world, now. And in a world where almost everyone is, by some degree, a nerd, is anyone, anymore?